Despite not being a native, the grey squirrel is a common mammal in the UK. It was introduced from North America during the late 19th century and has thrived, displacing the native red squirrels across most of England and Wales. A male squirrel is called a buck and a female is called a doe. They can grow to a length of 24-26cm with a tail of between 19-24cm in length and weigh between 450-650 grams. 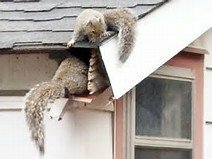 Squirrels usually live in a drey high in trees but are becoming increasingly common living and nesting in attic and roof spaces. A female squirrel usually produces 2 liters of 3-7 young in each year. 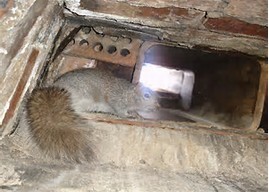 Squirrels are becoming increasingly more common living and nesting in attic and roof spaces. 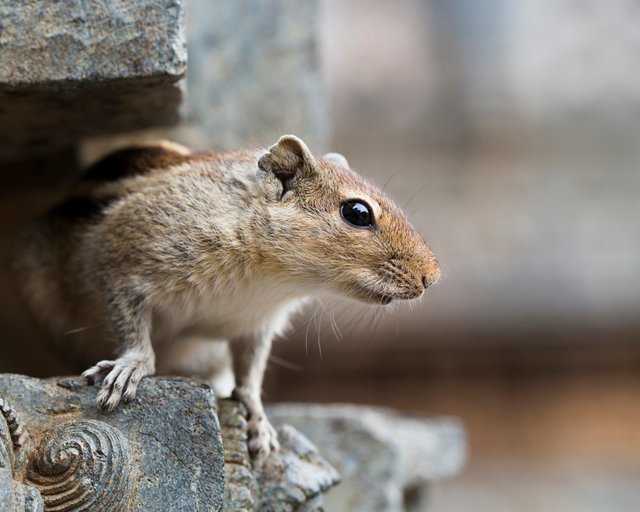 Squirrels are easily spotted, they may be seen running along roof lines, cable lines and guttering. 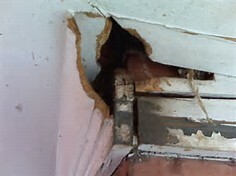 Holes under soffits may be visible where they have chewed to gain access to loft and attic spaces. Damage to electrical wires, water pipes and loft insulation may be evident along with evidence of the actual nest. 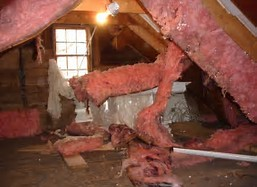 Unexplained noises in the attic such as scratching, chewing and scurrying sounds may be heard. Small divots in the lawn and chewed bark on young trees can also be an indicator of a squirrel problem. How serious is a squirrel problem? Squirrels can inflict serious amounts of damage. They chew wood and water pipes, strip insulation from electrical wiring and tear up loft insulation and stored items. 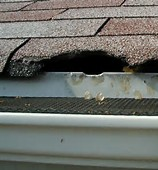 This can be extremely dangerous and can lead to structural damage, flooding and fires. 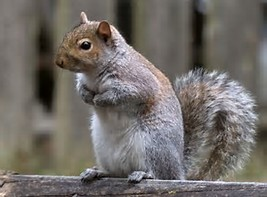 Squirrels are also known to carry parasites such as fleas and ticks. This can lead to secondary infestations within the property. Can I control a squirrel problem myself? Grey squirrels are recognised as a foreign pest species under the Wildlife and Countryside Act 1981. This legislation requires that any live trapped squirrels are killed and not released. Although there are products available to the general public it is important to remember that you then have the responsibility of disposing of the trapped squirrels. This must be done humanely or you could be prosecuted. 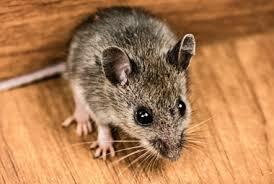 For this reason it is recommended that a professional pest control company is contacted. Here at Bradford Pest Control our technicians are highly trained and knowledgeable and all work is carried out safely and in accordance with the legal requirements. On completion of the inspection and an assessment of the situation, the technician will recommend the best cause of action for squirrel control treatment. 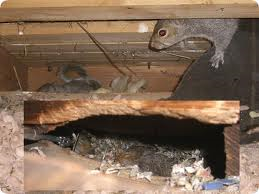 Our technician will use the best tools and professional use products to resolve the squirrel problem ensuring peace of mind for you and your family or business. All work will be carried out in accordance with the legal requirements. Our professional technician will offer advice and solutions to prevent the problem from reoccurring. 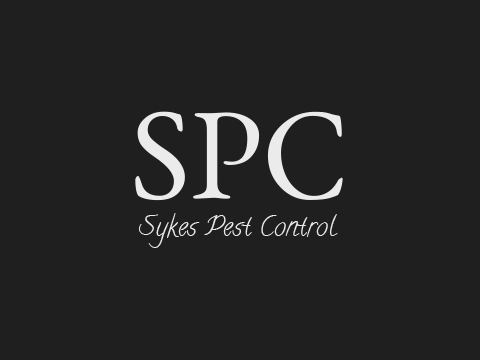 No, you don't need to do anything at all, our professional pest control technician will ensure that our service is carried out quickly and safely.